The MarkMonitor blog is a platform for journalism and commentary. It is not an advertisement for legal services, nor may it be construed as legal advice. No attorney/client relationship is created through the posting, commenting and publishing of blogs. If you need legal advice, please consult a qualified attorney in your state. 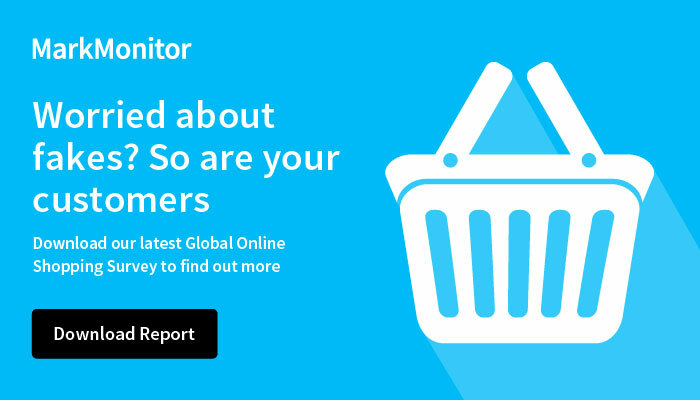 You are prohibited from using the MarkMonitor blog to advertise, perform or promote any commercial solicitation of goods and/or services, other than those offered by MarkMonitor. By posting on this blog, you grant MarkMonitor a non-exclusive, royalty-free license to use, publish, broadcast and reproduce your comments without limitation in any and all media, worldwide, in perpetuity, for any purpose whatsoever. This includes, without limitation, the right to create derivative works of, and to use, the content posted on the MarkMonitor blog to develop, enhance, distribute, and market MarkMonitor’s products and services. You represent and warrant that all content you post is your original work in which you own the copyright, or have been granted permission to use and in no way violates or infringes on the copyright, registered trademark or intellectual property rights of a third party. If you see something interesting and relevant, link to it! Except where otherwise noted, your use of the content on this blog is licensed under a Creative Commons Attribution 3.0 License. This does not give you the right to use any of MarkMonitor’s trade names, trade marks, service marks, logos, domain names, and other distinctive brand features without our consent, except as necessary to provide attribution. MarkMonitor makes no warranty, expressed or implied, or assumes any legal liability or responsibility for the accuracy, completeness, or usefulness of any content posted on the Reference herein to any specific commercial products, process, or service by trade name, trademark manufacturer, or otherwise, does not necessarily constitute or imply its endorsement, recommendation, or favoring by MarkMonitor. All views and opinions of the authors expressed herein are the writer’s own and do not necessarily state or reflect those of MarkMonitor. YOU AGREE THAT MARKMONITOR, AND ITS AFFILIATES, AFFILIATES, OFFICERS, DIRECTORS, EMPLOYEES, AGENTS, SUCCESSORS AND ASSIGNS SHALL NOT BE LIABLE FOR ANY DIRECT, INDIRECT, INCIDENTIAL, SPECIAL, CONSEQUENTIAL OR EXEMPLARY DAMAGES, INCLUDING WITHOUT LIMITATION, DAMAGES FOR LOSS OF PROFITS (EVEN IF THEY HAVE BEEN ADVISED OF THE POSSIBILITY OF SUCH DAMAGES), ARISING OUT OF OR RESULTING FROM THE USE OF THE MARKMONITOR BLOG. SOME JURISIDICTIONS DO NOT ALLOW THE EXCLUSION OF CERTAIN WARRANTIES OR LIMITATION OF DAMAGES. IN SUCH JURISDICTIONS, THESE EXCLUSIONS AND LIMITATIONS MAY NOT APPLY TO YOU.